CES 2014 wrapped-up for another year with a lot of oohs and aahs. It was just like my experience in the late 90’s, when I saw my first HD TV. I stood in the aisle amazed, as the image was so clear that I thought that I was looking out of a window. Now, almost every house in America has a HD TV. 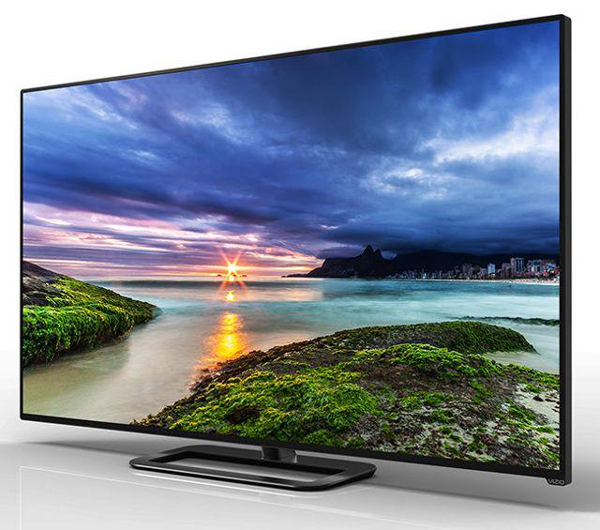 This year at CES, the buzz was 4K TV (or Ultra HD), which has four times the resolution of HD. HD is no longer special. In fact, Netflix continues to lead the next-gen streaming charge by announcing that it plans to produce House of Cards season two in Ultra HD by teaming up with TV makers. CES is a prediction of what the future holds for consumers. When I was growing up, you had to open a door to enter a store, walk up a flight of stairs to get to the second floor, and actually walk through an airport. Today, we think that the door is broken if it doesn’t open for us; stairs are non-existent as escalators carry us to the second floor; and a moving side walk transports us through major airport terminals. In the next twenty years, the new inventions that we saw at CES will be commonplace, as we marvel at holographic TV; and we can take a nap, as our cars whisk us to work by driving themselves guided by GPS. We won’t have to cook, as robots will take over the kitchen. Okay, enough reminiscing. Time to review some of the show’s wonders. 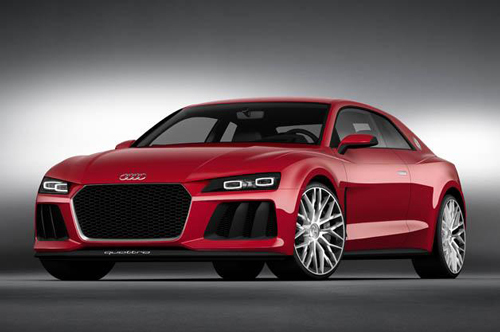 Audi’s Sport Quatro Laserlight concept car was a sensation at the show. The car's 700-horsepower hybrid powertrain and attractive coupe stance carbon-fiber bodywork looks every inch the part of a modern-day super coupe. The best feature is the laser-powered headlamps that make the concept car stand out. The headlight system uses matrix LEDs around the outside of the element as low beams, and lasers on the inside for high beams. Measured in mere microns, the laser diodes are significantly smaller than LEDs, while lighting up the road ahead for nearly half a mile, providing twice the lighting range and three times the brightness of LED high beams. Need to book a hotel in a hurry? Chevrolet has a new partnership with Priceline, which will let drivers book a room from their car, as the drivers will be able to reach Priceline through the OnStar service or app. Onstar customers can press the blue Onstar button in their vehicles to connect to Priceline agents who will do the searching or booking of nearby hotels. Last-minute bookers now have the ability to locate, compare, and book their preferred hotel in seconds with the touch of a button. The staffs of TechHive and PCWorld selected the 2015 Hyundai Genesis as one of their top products from the show. The Genesis won in the Best Car Tech category. Hyundai’s app for the Genesis does everything from start your vehicle to help plan the appropriate route, including avoiding routes with heavy traffic. Genesis owners will no longer need to remember to remote start their car on a hot or cold day. The Genesis Intelligent Assistant app will remind them to do it through their smartphone. When you turn the key and jump into the Genesis, you get access to Hyundai’s second-generation Blue Link infotainment system, which features enhanced Google search capabilities. Getting hungry? Use the Genesis’ voice controls to pull up listings for a restaurant and get its exact address, directions and even its hours of operating and phone number. BMW's ActiveAssist is pretty close to having the car drive itself. The feature is built to take control of the vehicle in case of an emergency, braking, accelerating and steering when required. The system can even intelligently respond to changing grip conditions in the road, such as slick or bumpy surfaces. No one expected Ultra HD televisions to be affordable anytime soon, but Vizio unveiled a 50-inch 4K TV for $999.99. What was even more surprising was the image, as we would expect an Ultra HD TV at this price to have poor picture quality, but Vizio blows away all expectations for this price level, delivering an incredible picture and smart TV features. In addition to its 3,840 x 2,160 resolution, Vizio's P-Series televisions are equipped with full-array LED backlighting for even lighting, 64 active LED zones for improved contrast, Ultra HD upscaling, and the ability to let users adjust the display's frame rate. 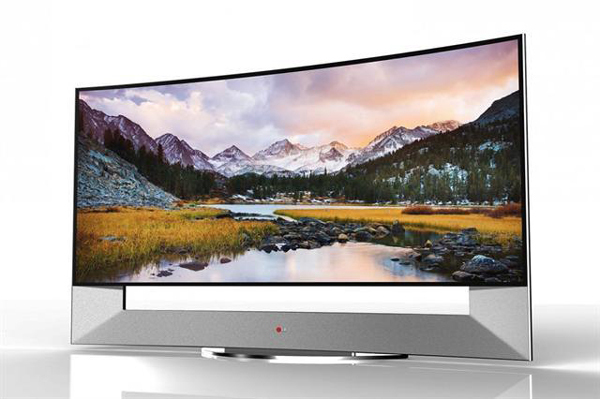 Manufactures are focusing on curved displays. Samsung and LG showcased sets that can alter their curve with the press of a button, allowing owners to increase the display's bend or even pull it back into a flat panel. These "flexible" TVs have one thing in common: they're huge at 105 inches. Unlike most HDTVs though, they use the wider 21:9 aspect ratio, which is good for watching movies, but not so good for TV shows. So, you forgot your wallet and the cashier is waiting for payment. Don’t despair. 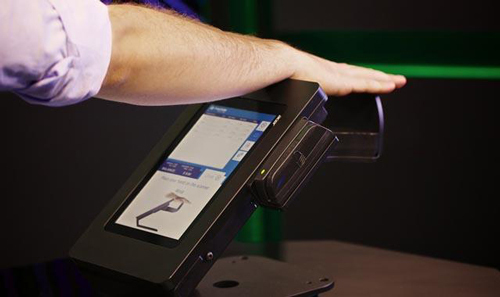 Soon you will be able to pay by scanning your hand so you never have to worry about holding up the line. The PulseWallet syncs your credit card to the palm of your hand through the device’s internal biometric technology. Using Fujitsu’s built-in palm-scanning technology called Palm Secure, the electronic device photographs a person’s unique vein pattern just below the skin. The distinct pattern of each individual’s veins makes forging extremely difficult. You are your wallet, secured with a key that only you hold. 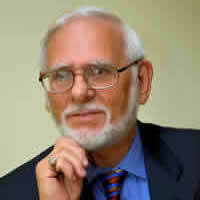 How many times has your oral hygienist told you to brush more diligently several times a day? 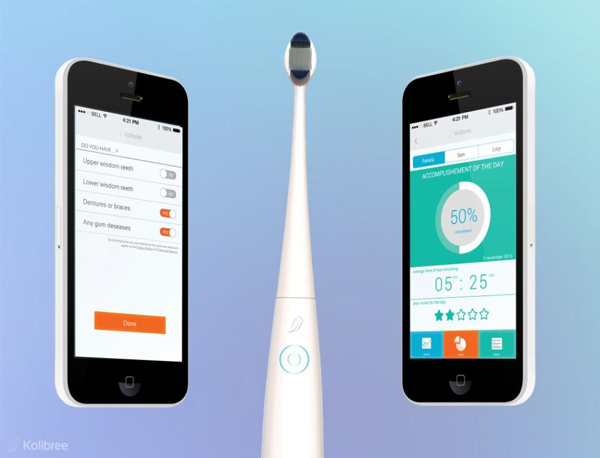 To help you achieve this goal, Paris-based Kolbree has created what it claims to be the world's first app-connected toothbrush that will encourage better brushing habits between dentist visits. The toothbrush may look like your regular electric model, but it's been enhanced with a wireless Bluetooth connection that reports your brushing times and habits to an accompanying app. This gives the user information on how long they actually brush versus how long they should be brushing. The brush turns oral hygiene into a game for kids. 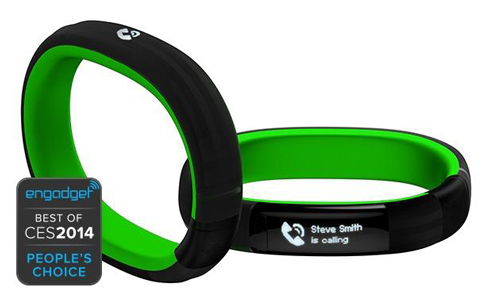 Both LG and Razer entered the fitness band business. Razer's Nabu smart band won the CES People’s Choice award and is described as a cross between a smartwatch and a fitness band. The device can track activity, sleep and location like a fitness band, but also delivers text and email alerts like a watch. 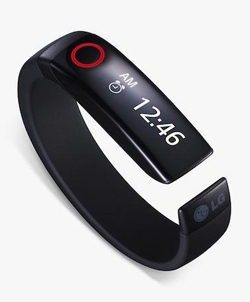 Meanwhile, LG announced its LifeBand Touch with an OLED display and accelerometer boasting compatibility with Apple's iOS platform, which allows users to track their activity as well as receive email, text alerts and control music. The OLED display is actually a touch screen. The Lifeband Touch also boasts compatibility with a number of existing fitness platforms, including MapMyrun, RunKeeper, MyFitnessPal, and Withings. 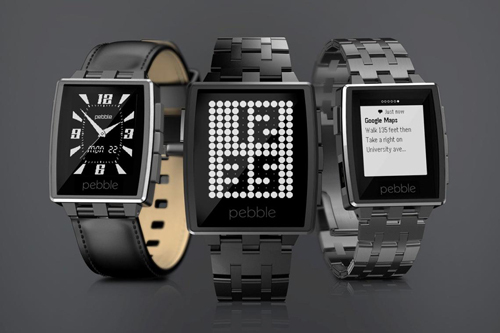 Smartwatch maker, Pebble, showcased a more sophisticated model of its popular wearable device, called Pebble Steel. The smartwatch functions just like the standard Pebble, only the Pebble Steel includes a shiny metal body and Corning scratch-resistant Gorilla Glass. Instead of acting as a mere window for notifications, the Pebble is now capable of running apps of its own and installing apps, such as ESPN, Yelp, and others. The ESPN app for Pebble will run natively on your smartwatch and allow you to scroll through the latest scores from ongoing games on your wrist. Yelp, on the other hand, will use location data to show listings for highly rated nearby restaurants. You can even find your location and check in on Four Square without ever touching your phone. Another app, Pebble Cam, can be used to control your iPhone's camera, complete with a live viewfinder on the Pebble's screen. Polaroid showed off an adorable new 35-mm cube camera called the C3. It will ship for $99 later this summer. For its small size, the camera is packed full of a surprising degree of features, including a 120-degree wide-angle lens capable of capturing HD video in 1280 x 720, and still images up to 5 megapixels. The cube camera is waterproof up to six feet, contains 2MB of internal storage, and a micro SD slot expandable up to 32 GB. It also has a microphone and an LED light, but will it replace a smartphone for taking pictures? Sony’s compact cameras and BRAVIA® TVs have set the industry standards in terms of quality and performance. Now, the Xperia Z1S delivers such excellence in a 20.7MP camera that is more than just top-notch image technology. The Xperia Z1S camera combines the world’s largest image sensor (1/2.3 inches), the highest resolution (20.7MP), and the brightest lens (F2.0) available in a slim (0.34 inches) waterproof (IP55/IP58) smartphone. 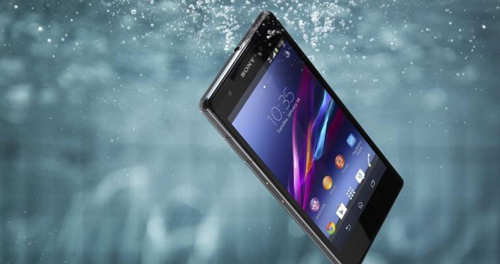 The waterproof and dust-resistant Xperia Z1S will handle wild water games, hard desert winds or falling into the kitchen sink. The Xperia Z1S is built with similar components as Sony’s compact digital cameras, making it a great smartphone for capturing images. You’ll always get stunning results when using Superior Auto, since it chooses the best camera settings for you. Until now, there hasn’t been a way to truly immerse yourself into virtual worlds in a way that allows natural, full-body interaction. PrioVR is changing the game by bringing you and your movements into virtual environments where you can see your body move as you move, manipulate items as if they were right in front of you, and interact with the virtual world as naturally as you would with the real world. The inertial sensing technology used in PrioVR offers several advantages over optical systems. By using an array of high-performance inertial sensors along with centralized, wearable, wireless hub architecture, PrioVR will provide 360 degrees of unfettered low-latency real-time motion capture without the need for cameras, optics, line-of-sight, or special environments. The PrioVR system will capture motion data directly from the body at projected end-to-end latencies that exhibit an 8 times or better improvement over optical systems. The system will be wireless, allow multiple simultaneous users, and will work anywhere. Additionally, the system will exhibit performance characteristics comparable to high-end inertial motion capture systems that cost tens of thousands of dollars, but at a cost that makes VR and motion capture affordable for everyone. Parrot's palm-sized quadricopter, based on the popular AR.Drone, is one of the hits on this year's CES show floor. Thanks to the attachable wheels you can actually drive the MiniDrone around on the floor or even drive it up a wall and across the ceiling. Parrot has unveiled a prototype of the tiny MiniDrone, which is expected to reach stores this year. The MiniDrone draws on much of the same technology found in its big brother, including cameras and sonar to monitor the ground for improving flight stability. One of the key differences is that the MiniDrone relies on Bluetooth 4.0 rather than Wi-Fi for remote control from an iOS or Android device. This reduces the range to about 45 feet. The MiniDrone is more stable than the full-sized AR.Drone, because it's smaller and because it's inherited the improved flight stability features introduced with the AR.Drone 2.0. 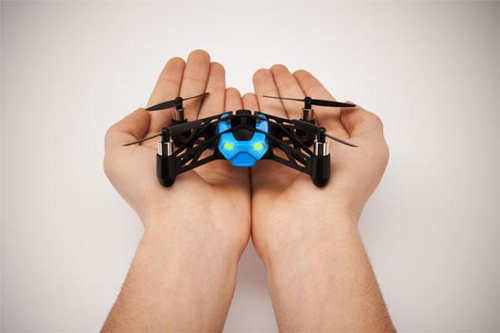 The MiniDrone is small enough to rest on your palm and you can even gently flick it into the air and engage the rotors. You can control it by tilting your mobile device and driving virtual joysticks on the screen. There's also a flip button which sees it do a quick 180° forward roll in mid-air. At just 0.8" thick, the Lenovo Horizon 2 is sleek, stylish and ultra slim. It works as both a Table PC and as a desktop in stand mode. The display is comfortable to use because it allows screen angles that range from -10 degrees to flat. In Table Mode, Horizon 2 offers an unprecedented multi-user experience that allows friends and family to interact with it at the same time. 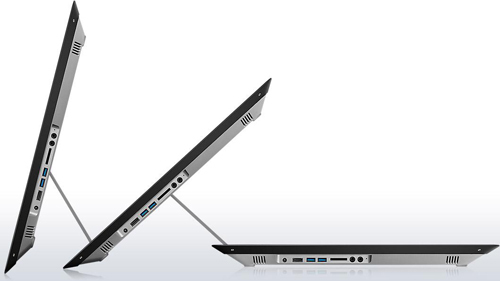 When the Horizon 2 is used as a table PC, two or more people can simultaneously access content. They can access media from other PCs and mobile devices directly onto the Horizon 2's display; edit with multi-touch; share photos directly to Facebook, and friends can place their phones on the Horizon 2, directly extract photos, edit them, and transfer the new file to another phone. You can heighten your digital gaming experience by enhancing the onscreen action with three exclusive physical accessories: Joystick, Striker, and E-dice. Forget pepper sprays and alarms. The latest line in defense against attackers is the iPhone case that doubles as stun gun. It’s called Yellow Jacket. The case comes with a 650K volt electrode that is capable of halting an aggressive adult male. The case is fitted with a safety catch to make sure the electrode doesn't accidentally activate in a pocket. The electrode is also protected by a cover. 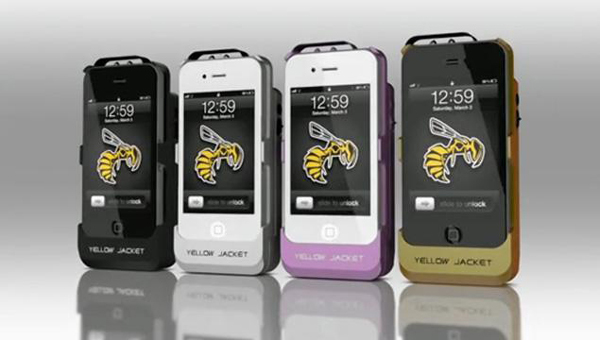 The Yellow Jacket case is now available for the iPhone 4S, 5S and 5C, and the user must release a safety catch and press the fire button to fire the gun. Stun guns are legal in 42 states. The 2014 CES show was attended by 155,000 visitors, who spent $195 million to get a glimpse of what consumers can expect to see on the market. CES was the go-to destination to learn what inventions will be available to make our lives more productive and fun. CES 2014 lived up to our expectations. Now, where do we buy all of the fun products?